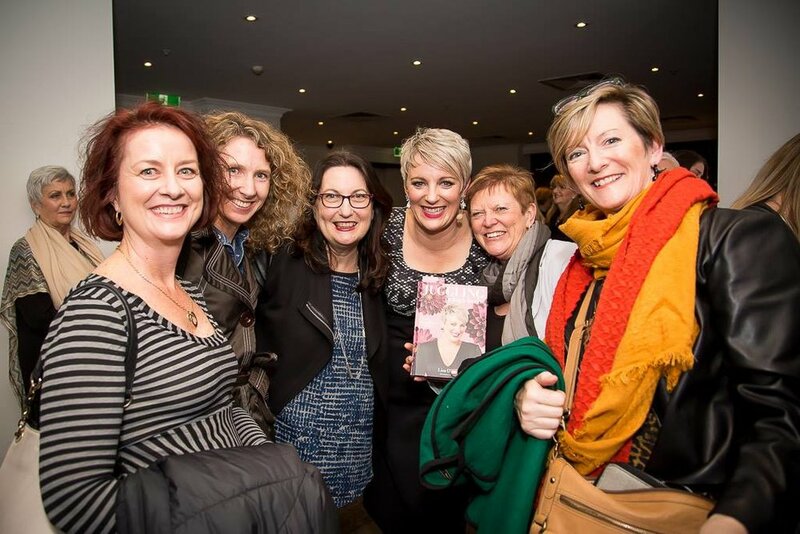 After the event, my Champagne Chic Chicks catching up with Lisa O'Neill - great pic by the event's professional photographer. It’s great to get away from behind a book and be in the audience of an author. But this is no ordinary author. Lisa O’Neill, from over ‘the ditch’ entertained us, shocked us and convinced us to take charge of our life. This isn’t a new message, we’ve heard it numerous times, but Lisa found the switch in our minds to take note, evaluate and reprogram some serious flaws which we’ve managed to convince ourselves that it’s a feature. As a mother, sole-trader working from home, wife, friend, and daughter there are too many connections and distractions which get the attention; these drain the energy and I wonder why my ‘important stuff’ list doesn’t get actioned. Collectively, we need to help ourselves and each other to prioritise the ‘me’ activities, outsource the time-wasters and increase our self-promotion to enable us, women, to be the best version of ourselves. Chops, licking, and deliciousness are words which have stuck with me for a week - a great measurement of the messages in the front of my mind. I often can’t tell you the name of the author of the book which I read a week ago let alone recall their models and views. I notice that Lisa is venturing back to Melbourne and other parts of Australia, very soon, and I highly recommend that you grab your bosom buddies (or Champagne Chic Chicks) and go and be entertained and specifically unlearn a few habits. And, just a little word of warning: Lisa’s vocabulary may shock you, however, for some of us, it’s what’s needed to get our attention of what needs changing.